Although the latest economic indicators revealed some signs of stress, as industrial profits posted their first drop in three years and consumption growth missed expectations in November 2018, merely focusing on short-term fluctuations will miss the big picture of the economy. China's tone-setting economic meeting described problems facing the economy as part of development, noting that the country is still and will be in an important period of strategic opportunity for development for a long time to come. Despite downward pressure from the China-US trade frictions, a rebalancing and deleveraging domestic economy and monetary tightening in certain developed economies, China has maintained stable economic growth, offering certainties to a world mired in uncertainties. Its GDP rose 6.7 percent in the first three quarters of 2018, putting the economy on track to meet the government's targeted growth of around 6.5 percent set for 2018. Niu Li, an economist with the State Information Center, a government think tank, said the economy is highly likely to rise 6.6 percent in 2018, thus exceeding the government's target. This means China remains a top performer in the global economic arena, with the IMF forecasting growth of 2.4 percent for advanced economies this year. The China-US trade frictions have been properly dealt with. Employment remains stable, consumer inflation is kept at a neutral level, resident income continues to grow steadily, while development is more balanced and sustainable with higher quality. Consumption is set to contribute 78.2 percent of China's economic growth in 2018, the highest level since 2001, according to a report released by the Chinese Academy of Social Sciences in December. "We expect consumption to remain the largest driver of the economy in the next decade," according to Ding Shuang, an economist of the Standard Chartered Bank, citing great potential consumption to continue to grow faster than investment amid the ongoing trends of urbanization, aging and a rising middle-income group that demands quality goods and services. While consumer spending contributed a bigger share of GDP growth, technology and innovation are picking up the slack as certain traditional industries took a hit. 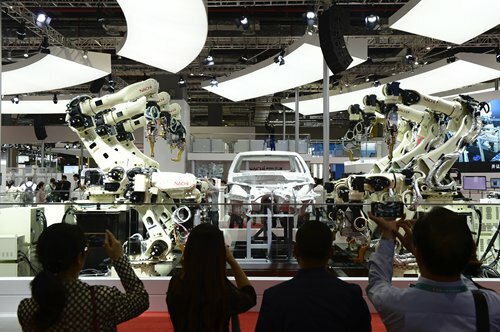 High-tech manufacturing and equipment production sectors maintained their fast expansion. In the Global Innovation Index 2018 by the World Intellectual Property Organization, China became the first middle-income economy on the list of the world's 20 most innovative economies in 2018. The medium-high level of growth achieved during the past year demonstrated the vitality and resilience of the Chinese economy, which will ensure its future stability, according to Liu Qiao, head of the Guanghua School of Management at Peking University. Another reason for the optimism is that the Chinese policymakers have many economic levers at hand to deal with challenges, analysts said. The government's options include supply-side structural reform, credit policy, and fiscal firepower. On the monetary policy front, economists said broad-based easing is not immediately on the cards, but the central bank may tweak policies to keep funding flowing to the backbone of the economy without funneling credit to companies that are already highly indebted. The Standard Chartered Bank said the People's Bank of China might cut the reserve requirement ratio by 200 basis points by the end of 2019 to prevent a tightening of monetary and credit conditions and reduce funding costs for the real economy by providing banks with long-term liquidity at a relatively low cost. China's stable economic growth enables a more proactive fiscal policy through deeper tax cuts and fee cuts as well as accelerating government spending. Wang Tao, a UBS economist expected the fiscal budget deficit to rise to 3 percent of GDP in 2019 from 2.6 percent in the past year, and tax cuts to exceed one percent of GDP, mainly in value-added tax, corporate income tax, as well as individual income tax, together with a reduction in corporate social insurance contribution. To boost government spending, the country's legislature has adopted a decision to speed up local government bond issuance before the approval of the annual fiscal budget. 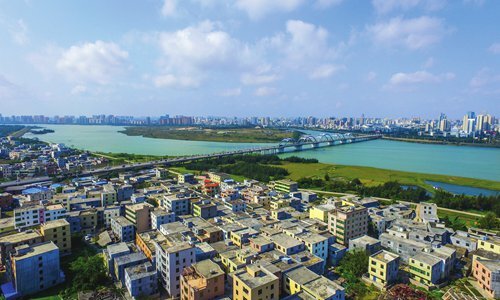 Between January 1, 2019 and December 31, 2022, the State council will be authorized to assign part of the newly-added quotas for local government bonds each year before the annual budget approval. Yang Weimin, deputy director of the economic committee of the Chinese People's Political Consultative Conference National Committee, pointed out that the country should also perform further supply-side structural reform to fix the mismatch in resource allocation and in turn to enhance the overall economic resilience. Previous structural adjustments should be reinforced, with continued efforts to downsize overburdened industries, reduce all types of business burdens and channel more energy into weak areas including weak areas in infrastructure, according to the annual Central Economic Work Conference. The year of 2018 marked the 40th anniversary of its reform and opening-up, which China commemorated with concrete moves to overhaul and reform its economy. The country has broadened market access, reduced import duties, developed new ground in opening up and provided new platforms for win-win cooperation with the rest of the world. Foreign ownership restrictions in the financial and auto sectors have been eased, with some ownership caps to be removed completely in the coming three years; tariffs were cut for an array of imported products including cars, consumer products, and industrial goods; and more import duty cuts will come into effect this year. Also, China launched the trading of crude oil futures contracts in Shanghai, the first futures contracts listed on Chinese mainland to overseas investors; foreign firms have been offered the green light to have 51-percent ownership of their brokerage ventures; foreign investment access was also eased in the insurance industry, just to name a few. UBS AG became the first global financial institution to take advantage of the country's new rules to gain a majority stake in its mainland securities joint venture, raising its stake in UBS Securities Co to 51 percent from the current 24.99 percent. "The further opening-up of China's financial sector represents great opportunities for our wealth management, investment bank and asset management businesses," said UBS Group CEO Sergio P. Ermotti. To boost imports, the country has cut tariffs for an array of products including automobiles, consumer products and medicine in the past year, lowering the overall tariff rate on imported goods from 9.8 percent to 7.5 percent in 2017. A total of 172 countries, regions and international organizations, and more than 3,600 enterprises participated in the first China International Import Expo, which was held from November 5 to 10 in Shanghai. It was the world's first import-themed national-level expo. 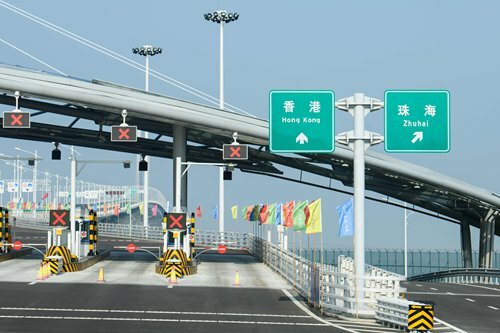 Also in 2018, the landscape of China's pilot free trade zones (FTZs) has been further broadened with the southern island province of Hainan being designated as the latest and largest pilot FTZ, a move to further open the country's market and to attract foreign investment. China's total imports will likely exceed $2 trillion this year to set a new record, according to an official with the Ministry of Commerce. Reform and opening-up has gained pace. In its latest step, China announced a negative list for market access last month that is shorter and applies to all market players, allowing them to equally enter sectors that are not on the list. The government will continue to widen market access for foreign investors while the negative list is expected to be further shortened in 2019, said Tang Wenhong, head of foreign investment management department under the Ministry of Commerce. In 2019, the country also vowed to push forward with reforms in various fields including State-owned enterprises, taxation and financing, land, market access as well as social management. To promote foreign trade, China will expand exports and imports and promote the diversification of export markets. It will continue to advance the Belt and Road initiative, actively participate in WTO reforms, and promote trade and investment liberalization and facilitation, according to CICC economist Liu Liu. The past four decades have seen China's metamorphosis from an impoverished backwater into a major contributor to the world's economy, and analysts expected the fresh push to unleash a new wave of development dividends.